community support by the casino in 2013. Benita Zahn, of News Channel 13, based in Albany, returned for the second year as host of the event. Zahn presented the checks to each organization, beginning with the three organizations she was given the opportunity to select as recipients. 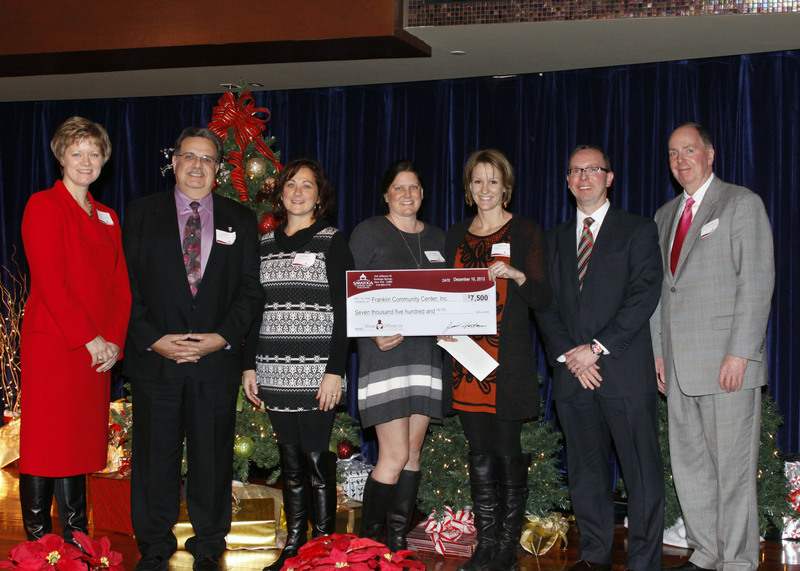 Zahn’s selections for 2013 were Building on Love and YWCA of the Greater Capital Region, each receiving $1,250, along with Kelly’s Angels which received $2,500. Saratoga County Economic Opportunity Council, Inc.; Saratoga Hospital Foundation; Shelters of Saratoga, $10,000 each. Franklin Community Center, Inc.; ‘ To Life! ; Operation Adopt A Soldier, Inc.; Schoharie Area Long Term (SALT), $7,500 each. Adult & Senior Center of Saratoga; Nathan Littauer Foundation, Inc. ; Rebuilding Together, Saratoga County, Inc.; Ronald McDonald House Charities of the Capital Region, Inc.; Saratoga P.L.A.N. ; The Wesley Foundation; and Jake’s Help From Heaven, $5,000 each.